Alnatura will reportedly open an ‘Alnatura Express’ in the main railway station at Leipzig. 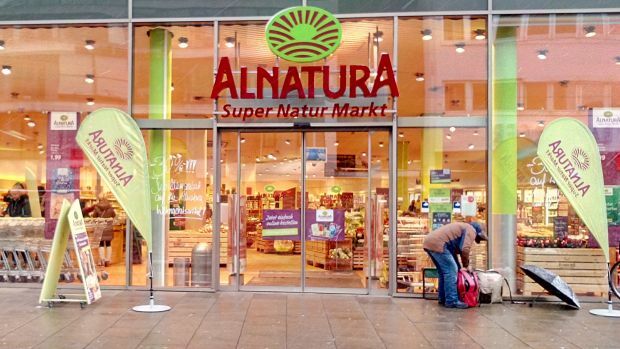 German organic food retailer Alnatura is reportedly set to launch a smaller format in a train station in mid-April. According to Lebensmittel Zeitung, Alnatura will open an ‘Alnatura Express’ outlet in the main railway station at Leipzig, in the east of Germany. The minimarket will be sized at 390 square metres – which compares to an average store size of 550 sq m for its regular stores, according to LZ Retailytics data. Growing competition in organic food has given birth to many new initiatives in the German retail market lately. Aldi has expanded its assortment of organic private label products, drugstore operator dm is upgrading its dmBio range with Demeter’s newly launched seal and Rossmann, Germany's number two drugstore chain, is to dedicate further shelf space to organic products. Alnatura’s attempt to launch an Express organic convenience store caters to two recent trends: an increasing number of customers that want to lead a more sustainable lifestyle and a growing demand for food-on-the-go. We believe that Alnatura could get the most out of its new concept and differentiate itself from competition in high traffic areas if it also embraced healthy alternatives. Organic doesn’t automatically mean that the food has to be healthy (imagine an organic fatty salami pizza), so this would perhaps be a better fit to the overall corporate identity. The German food market is still at a very early stage regarding convenience concepts. This also means that there is a clear lack of healthy options with most of the players focussing on high-calorie fast food or uncreatively prepared sandwiches. The new store could be a fantastic opportunity for Alnatura to attract a new target group by offering alternatives inspired by grains, fresh fruit and processed vegetables. First steps into this direction can already be seen in its organic supermarkets that offer prepared couscous salads and trend snack onigiri. We could image that the Express stores could be a good fit not only in train stations but also in inner city locations.